Marine environments present unique challenges to Lighting Designers, Engineers and Installers. Ultra Violet Light, Salt Air, Moisture and Heat will quickly degrade any installation unless careful attention is paid to product selection, connectivity and correct installation. Pictured is one of our latest projects successfully handed over to the Noosa Council bringing alive and making safe at night the iconic Noosa Boardwalk that has proven to be a popular walking track with locals and tourists. 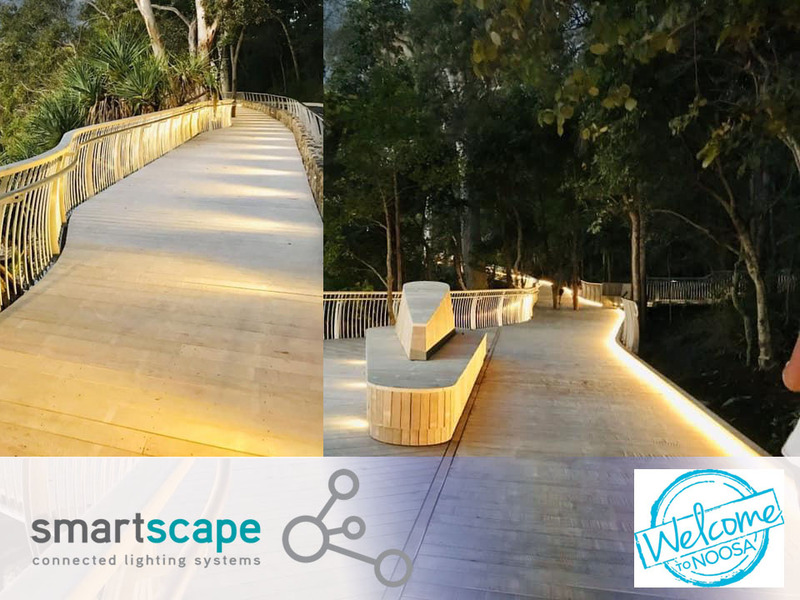 If you need assistance with your next outdoor lighting project please contact us here at Smartscape – Connected Lighting Systems.